Apple is looking to go big with its forthcoming iPhone 11 or iPhone XI, which will be Cupertino-based phone maker's new flagship devices. It is reported that Apple's new generation iPhones could be the most divisive phones ever made by the company, if the new leaked images are to be believed. The 2019 iPhones are likely to come with new rear camera design which can be confirmed by the leaked schematics shared on Twitter by OnLeaks. The company is expected to launch next-gen Apple iPhones around September this year. Apple Card the First-Ever Credit Card For iPhones. Going the leaked images shared by the renowned leakster, the iPhone 11's triple rear setup will be fitted in a bulky square-box. The housing on the prototype features three rear camera lens positioned along with a LED flash as well as additional sensor making it the most noticeable rear module seen from the iPhone maker ever. Moreover, this new rear setup somewhat would give a premium appeal to brand's newest flagship devices that are due for arrival later this year. Apple Apologises to Users for Faulty Macbook's Butterfly Keyboards. 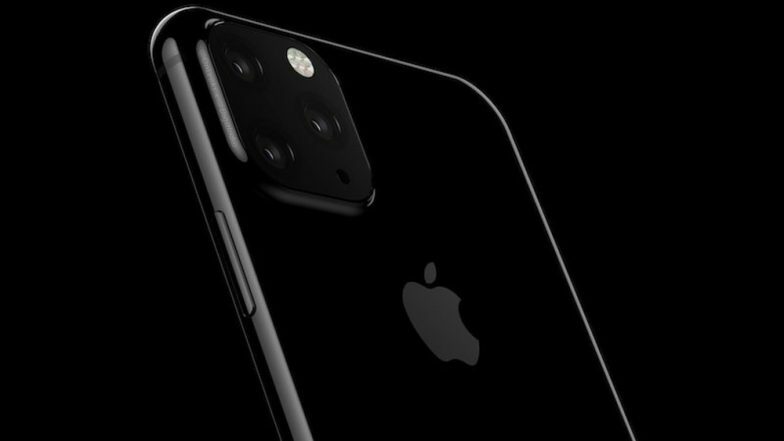 As a reminder, the rumours related to iPhone's triple camera setup surfaced late last year around May and the same was confirmed by company's analyst Ming-Chi Kuo later in October. As per the report from The Wall Street Journal, Apple will be shipping at least one new generation iPhone with a triple-lens camera system. Apple TV+ Streaming Service to Take on Netflix, Amazon Prime. The iPhone XS Max successor will get triple lens system whereas the next generation iPhone XS and iPhone XR will continue to sport dual rear cameras. Apple iPhone 11's triple rear camera system will be pitted against some Android rivals like Samsung Galaxy S10 and Huawei P30 Pro. More details and information about the new Apple iPhone 11 are expected to surface on the internet soon. Stay tuned to LatestLY for more about the new 2019 iPhone devices.